Funnel cake with soft serve ice cream on top? A must-have Disney World dining treat! 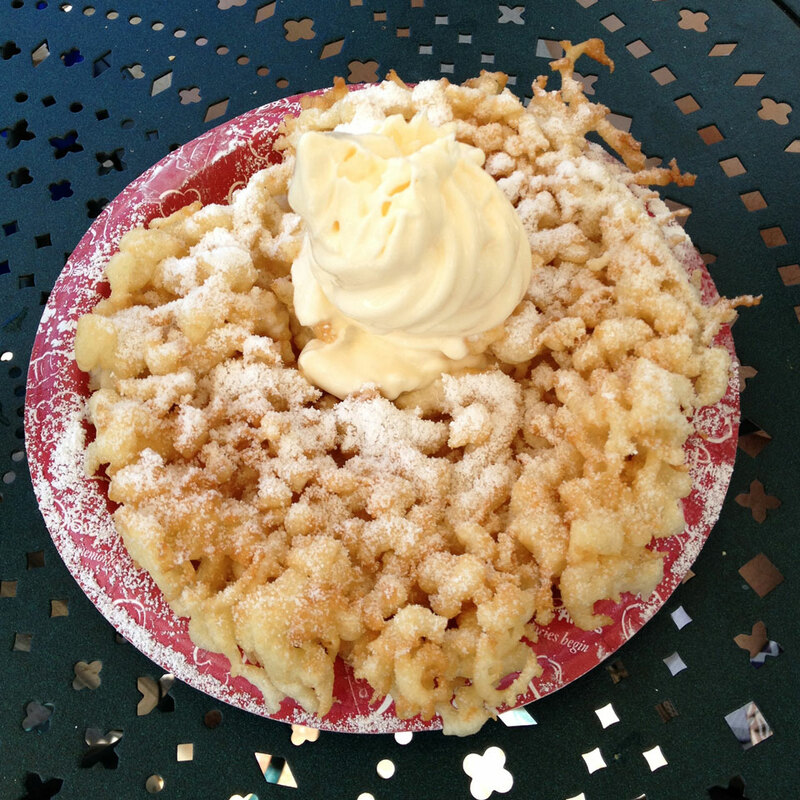 Located just next to the entrance of the Indiana Jones Stunt Spectacular, Oasis Canteen serves up one of the most delectable combinations of desserts at Walt Disney World: Funnel Cake with Soft-Serve Ice Cream on top (check out the picture below to see it in all its glory). For just an extra dollar, you can get smooth soft-serve ice cream stacked on top of the already delicious funnel cake. This dessert is also great to share, as there is a lot of it. Oasis Canteen also serves waffle cones, soda, and beer. Note: Menus for Disney World restaurants change on a somewhat regular basis, so the menu listed above is subject to change. For the most up to date menu, check out Disney’s official Oasis Canteen menu.